One of the most time consuming aspects of treating a new patient is spending the patient filling out their intake forms. After the forms are filled out, they then need to be reviewed and subsequently filed away. Now, as part of Jasmine Practice Management, patients can fill out your patient intake forms online and before their appointments. The best part, all the information flows directly into Jasmine Practice Management automatically and without you having to enter their data. 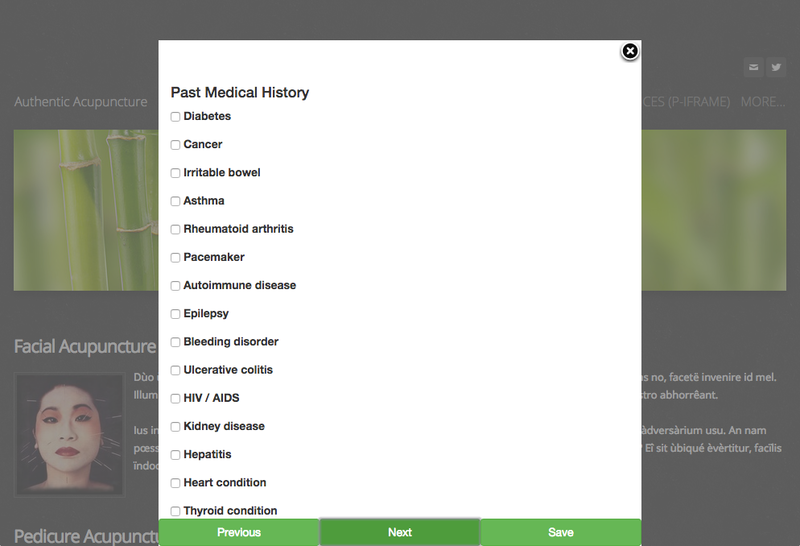 The intake forms are easy to customize and add new fields you would like to collect in your practice. Out of the box, Jasmine Practice Management provides a simple intake form template which can be updated to look like your current forms. Now, your patients can have their intake forms filled out before their appointment while you review their information before the visit. And, you no longer need to scan or enter the information into Jasmine Practice Management. All the intake information is securely transferred from the patient and stored within Jasmine Practice Management.